Big dogs can be a lot to handle, and little dogs can get under foot. Medium-sized dogs, however, can be a good fit for most homes. They're usually sporty enough for athletic pursuits, like the Poodle shown here, but still small enough to cuddle with on the couch. You can learn more about each of the following breeds by clicking on "More Details" above each picture. The Airedale Terrier stands about 23 inches tall and weighs approximately 50 pounds. Lively, high-spirited dogs, Airedales require regular exercise to burn off excess energy and should be trained at an early age to establish their proper place in the family pack. Aussies range 21 to 23 inches tall. Extremely athletic and keenly intelligent, these dogs excel in the sports of dog agility and obedience. These dogs thrive when they have a job to do and participating in a sport like those mentioned can help replace the natural activity of herding which they were originally bred for. 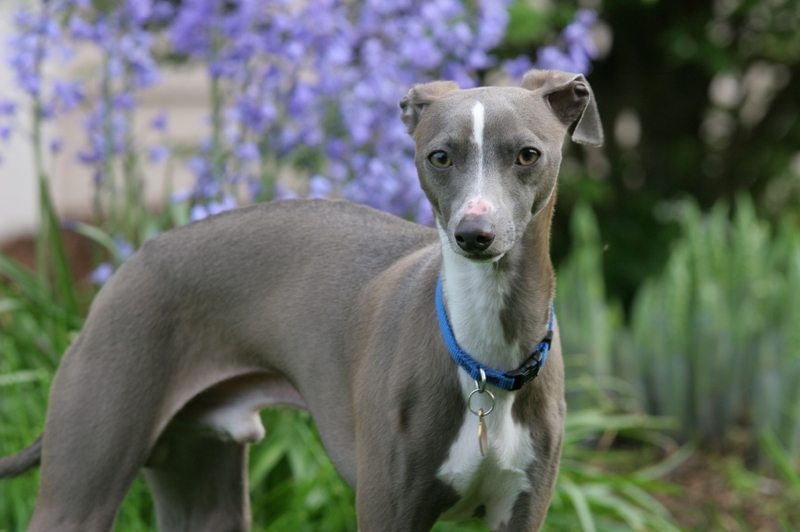 This breed is approximately 20 to 21 inches tall, and its weight should be in proportion to its size. These dogs are high energy working dogs that need a lot of exercise and mental stimulation. They love to jog with their owners, and they can also be trained to participate in sports like fly ball and agility. If you're not into sports yourself, a good daily walk followed a rousing game of fetch can help your pet get the exercise he needs. The average dog of this very muscular breed ranges up to 24 inches tall and weighs about 75 pounds. Both fearless and fun-loving, Bullies need solid training and a structured environment to become the best companions they can be. Puppy socialization classes are a good place to start, but be sure you follow up with basic obedience training by six months of age to help your pet become a model canine citizen. Dalmatians average about 22 inches tall and weigh approximately 60 pounds as adults. They have a tendency to be a little high-strung, so they need consistent training and plenty of exercise to bring out their best qualities. They do best with owners who have an active lifestyle and are able to include the dog in many of their activities. Springers stand about 20 inches tall and weigh about 50 pounds on average. They tend to have buoyant yet intelligent personalities which make them great companions when properly trained. This breed comes in two distinct types. The "show" type typically has a longer coat and ear furnishings, while the "field" type (shown here) has a fitted coat which is better suited for hunting activities. Pharaoh Hounds stand approximately 24 inches tall and are very lean animals. Graceful and athletic, they make fine family companions. One of the best things about these dogs is how little grooming they require. Trim their nails on a weekly basis, brush them once a week to stimulate the coat, and give them a bath occasionally to keep them looking their best. Both the Miniature and Standard Poodle varieties can be considered medium-sized dogs. Minis range 11 to 15 inches in height while Standards are 15 inches tall or more. Happy-go-lucky temperaments and a desire to please make these dogs outstanding family members. Just be forewarned that Poodles require a lot of grooming to keep their coats in good condition. This includes daily brushing and a good trimming every one to two months. The jolly Soft-Coated Wheaten stands around 18 inches tall and weighs approximately 35 pounds. Be prepared for some of that feisty behavior for which Terriers are renowned. Like many Terrier breeds, these dogs need owners who are capable of setting firm boundaries for their behavior without over-disciplining them and breaking their spirits. You can achieve a balanced relationship with this dog through obedience training and walking him regularly on a leash. Standing an average of 15 inches tall and weighing about 25 pounds, the Shetland Sheepdog was essentially bred down from the Collie. These dogs are sensible, smart and athletic, and they are rock stars in the sport of agility. Just be prepared to brush them several times each week to keep those beautiful coats from matting. Medium-sized dogs have a lot to offer, but there are still many great dogs at both ends of the spectrum. Be sure to check out small and large breeds as well while you're trying to decide which breed will be the best fit for your family and lifestyle.